Fantasy, adventure, sorcery, swords, myths, dragons, beauties and beasts: they’re all here in this instant collection of escapist feature films. With Sean Bean, Stellan Skarsgård, Estella Warren, and more. 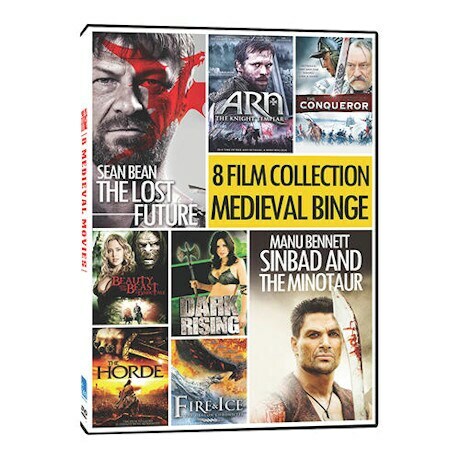 Includes Lost Future, Sinbad and the Minotaur, Arn: The Knight Templar, The Conqueror, Dark Rising, The Horde, Beauty & The Beast: A Dark Tale, and Fire and Ice. 8 films, about 13 hrs, 2 DVDs.